Discussion in 'Article Discussion' started by Gareth Halfacree, 20 May 2015. Hang on M370X available today? Has the mobile 3xx been released or are these rebadged 2xx GPUs? These are OEM-only parts, as per my write-up of the 7th of May. The company also announced new APU and Radeon GPU products aimed at OEMs, the former based on the Carrizo-L design and ranging from 10W to 25W TDPs and up to four cores at 2.5GHz and the latter comprised of the 300 Series and M300 Series for desktops and laptops respectively. You'd think they would want to make it a standard port for all upcoming lines, so you know people who are invested in their ecosystem can use adaptors on multiple devices in the range. Even if they had implemented a Type C connector in addition to the standard Apple I/O. I don't get Apple... I really don't. As far as everything I've read is concerned, the majority of 3xx series GPUs are re-badged 2xx series which in turn were mainly re-badged 7xxx series GPUs. The only exception so far is the expected 390X with HBM. The MacBook Pro refresh is a minor spec bump - the CPUs are remaining Haswell, so it's literally a GPU change and the new touchpads. Apple will introduce USB-C when they actually update the design of the chassis, which is likely to be Skylake. A that point, expect the MBPs to lose a bit of thickness, drop their USB A ports and possibly even lose Thunderbolt, replacing them with some USB C ports. USB C is going to be Apple's standard port, no doubt. It'll just take 12-18 months to move the line over. The only downside to USB-C is that it's used for charging, which means loosing the magsafe connectors which are such a good design. Why does charging affect that? If they can be used as power cords then I don't see an issue. The magsafe connector does not plug into a socket, it is attached via a magnet. This is unique in that if the cord is pulled out it gracefully detaches rather than being yanked out of the socket like a normal connector. USB-C uses a traditional plug and socket and not a magnetic attachment. Magsafe is great, it will be a shame to see it go. Hang on... Did you mean that Type-C is now going to be used to charge the MBP? It's already used for the macbook. It stands to reason they'll add it to the pro line. 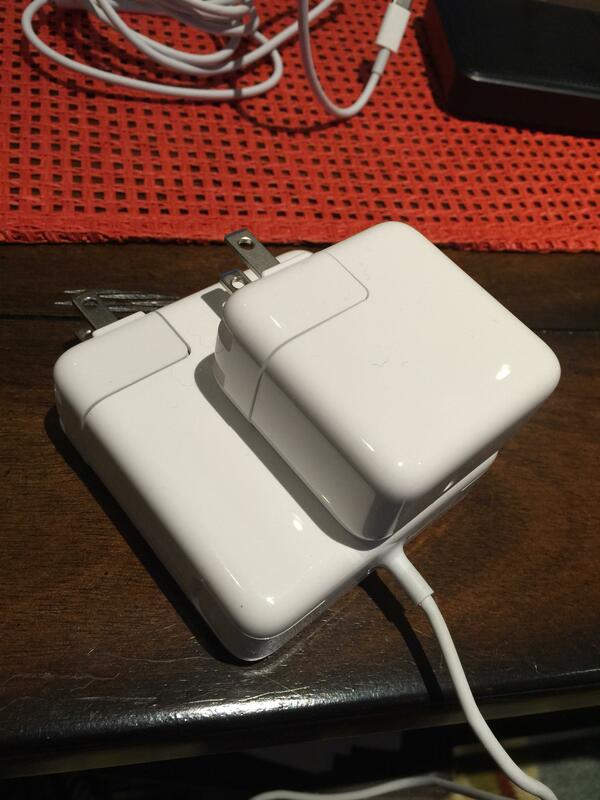 Would I be prepared to sacrifice losing magsafe if I gained the ability to charge via any decent USB charger? The type of charger I carry around anyway to quickly top up iPads and iPhones? Would I gain enough to easily top up my laptop from my USB battery packs? Or my USB in car sockets? Yeah, I probably would. Damn you Apple. You giveth and you taketh away. 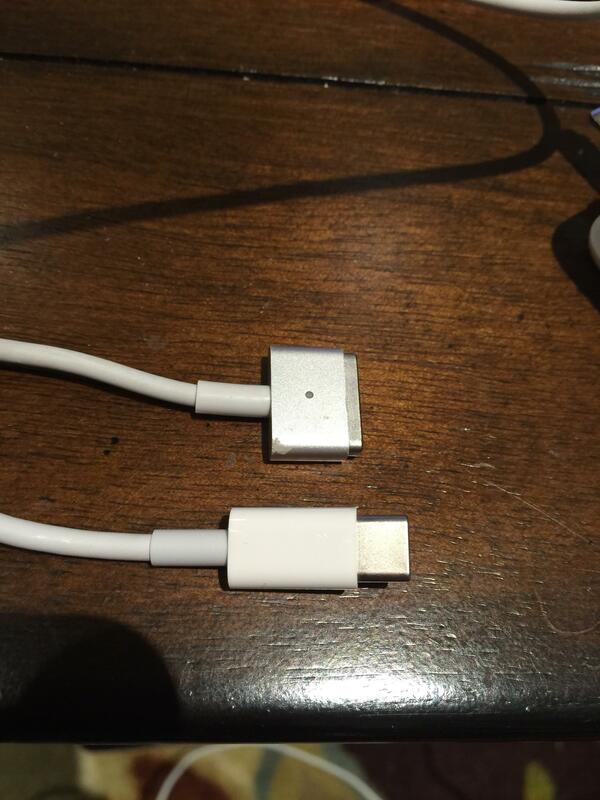 Yes, Apple will be switching to USB C to charge MBPs down the line. My new MacBook already charges over it's sole USB C port, with the huge thing that the power brick is the same size as the iPad one, not the behemoth that is my 85W MacBook Pro (retina) one. Yes, I'm sad to lose MagSafe, but it's incompatible with USB C. But there's definite benefits to USB C. MagSafe works because it's a very shallow connection, so when pulled out it detaches easily. USB C is deeper (imagine the port on an iPhone or iPad), so it isn't going to disconnect when yanked. I'm also amazed that Apple are ditching their profitable accessory market. They've already said that they're not releasing any new adapters beyond the current range of 3 (USB C to A, Digital Multiport and VGA Multiport). They're literally relying on third parties to fill the hole and provide consumers with hubs and other video adapters. Yes, my MagSafe charger is a bit battered as it's my travel adapter. The USB C is brand new on the other hand. Could they not just add the 'magsafe' bit further down the cable... a bit like the plug/socket on my wired xbox 360 pad. That plugs in via usb but a little ways down the cable there's another connection which is designed to come out should you trip on the cable. So yes, they could, but they won't.